Dr. Villas Boas:I’ve always loved English. I learned it when I was eight and moved to the U.S. to spend three years while my Dad got his Ph. D in Architecture from Rice University, in Houston, Texas. When I came back to Brazil, in order to keep up the English I had learned, I was enrolled in an ELT institute called Casa Thomas Jefferson (CTJ), a binational center in Brasília, Brazil, where I am now the General Academic Coordinator. I didn’t intend to be a teacher at first. I majored in Journalism. But while I was still going to university, I also took the Teacher Training Course at CTJ and ended up getting a teaching job here. After I graduated, I worked for six months as a journalist, but it didn’t quite suit me. Then I was invited to become the Intermediate Course Supervisor and was happy to give up my career as a journalist. However, I felt I needed to invest in my professional development, so in 1998, encouraged by my husband, I got into the MATESL Program at Arizona State University (ASU). I already had two children, aged 2 and 6 at that time. My husband had the opportunity to get a six-month paid leave from his position at the Bank of Brazil, and then a one-year unpaid leave. We invested our savings in this unforgettable opportunity to live abroad with our family and we don’t regret it at all. We fell in love with the desert.I learned a lot during my MATESL program and focused my studies on two areas: testing and the teaching of writing, developing an applied project around the use of writing portfolios. I chose the ASU program because of the flexibility it offered in the choice of electives. Thus, besides the mandatory courses, such as Research Methods, Introduction to Linguistics, Second Language Acquisition and Methodology, I also took classes that contributed to strengthening my knowledge of English and English Linguistics itself –such as Syntax, Phonetics and Phonology, and Pragmatics and Discourse Theory – while also contributing to broadening my knowledge on teaching and learning in general – such as Testing (including Psychometrics) and Educational Psychology.Back to Brazil, I resumed my job at CTJ, where I was a Pedagogical Consultant before I had left. I made a point of attending and presenting in local, national and international conferences –TESOL being one of them – and decided to pursue a Ph.D in Education in 2005, focusing on Literacy Studies. 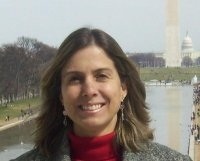 My doctorate also consisted of interdisciplinary studies, providing me the opportunity to study the History of Education in Brazil more deeply, Interactional Sociolinguistics, Epistemology and Research in the Social Sciences, Institutional Evaluation, and Subjectivity and Education, with a strong focus on Vygotsky, among others. 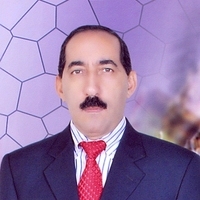 In 2007, I became the General Academic Coordinator of the institution, and in 2008 I finished my Doctorate. My field of research is the teaching of writing, contrasting the product approach predominant in our regular schools and a process approach to teaching EFL writing. Writing is the thread that has woven my academic background, from learning a lot about writing in my undergraduate studies and researching this topic for my master’s and doctorate studies. Managerially speaking, with a B.A. in Journalism, a MATESL Degree and a Doctorate in Education, I believe I’ve gained the necessary breadth and depth to face the challenges involved in coordinating a large ELT Institute, where I have to use my knowledge about English, English Language Teaching, Education, Philosophy, and Communication on a daily basis. Ana Wu: You have a master degree in TEFL and a Ph.D in Education. How did you develop your management and leadership skills? What advice would you give to faculty members who are promoted to leadership positions? What inspires you on a difficult day? Dr. Villas Boas: I would say my leadership and management skills are a work in progress. It is not easy to move from a teaching position to a management position. I was lucky, though, that the institution where I work invested in providing leadership and management training for its academic coordinators through a renowned management school in Brazil which provided the basics of marketing, finances, strategic planning, human resources, managing processes, and other skills. For example, we worked on SWOT (Strengths, Weaknesses, Opportunities and Threats) matrixes and learned about the Balanced Scorecard Methodology. We even developed indicators and designed a system to measure them. An indicator that we identified as important was student satisfaction with our academic services, so we developed a system to measure this by administering a survey, analyzing the results, and acting upon them in order to improve our services. We have been following the same process every semester, always comparing results from previous surveys, identifying tendencies, and addressing specific concerns with teachers, for example. This training has helped me a lot. I also tried to focus my reading on management issues, but that was hard because I was still working on my doctoral thesis! I learned a lot by also observing more experienced peers who were already in management positions. But I never gave up teaching. I insist on teaching at least one group a year, and that’s exactly what inspires me on a difficult day. I love working with students, especially teens. Not long ago a student of mine came to me and said that she was getting better grades on her compositions at school because of what I was teaching her about writing in her English class! There’s no difficult day after this!!! However, I still have a lot to learn. I think anyone who moves from a teaching to a managerial position should try to learn more about management but making sure they keep a balance between their academic and their managerial facets. I believe academic coordinators or directors are not like company directors. They can never lose sight of their academic background. That’s what makes us so sensitive and versatile, after all!!! Ana Wu: You are the General Academic Coordinator of a large non-profit binational center in Brasília, Brazil, with over 14,000 students ranging from children to adults, beginners to advanced learners. a. Could you tell us the percentage of NNES and NES professionals currently working at your institute? Has this ratio changed recently? Dr. Villas Boas:We have very, very few NES on our staff, currently three out of the almost 200 teachers, supervisors and coordinators. We used to have more, but two instructors moved away and a couple of them had their contracts discontinued because they didn’t adapt to the institution. However, our NNES instructors are highly proficient. Most of our teachers have spent time abroad and are near-native speakers of English. Besides, our students obtain excellent results at the end of their studies. An example is a fourteen-year-old student who has just finished our Advanced Course, obtained a score of 650 on the paper-based TOEFL and passed the Examination for the Certificate of Proficiency in English, a standardized advanced-level English as a Foreign Language examination, developed by the University of Michigan, with two high passes, one of them being Listening. She has never lived abroad and she never had a single native-speaking teacher during her studies with us. This hasn’t stopped her from developing near-native fluency . Thus, though we have very few NES on our staff, the fact that our NNES instructors are very proficient in the language has led us to achieve excellent results with our students. b. Over the past years, have you noticed any changes in the profile of the native speaking applicants in terms of teaching experience, educational background, and teaching expectations? Dr. Villas Boas: With some exceptions, most of our native-speaking applicants have usually been people who married Brazilians and moved to Brazil but didn’t have any formal training in TESOL. Then they took our Teacher Development Course – a 234-hour Certificate Program – and some eventually joined our staff. In other words, they received their training here. The TDC is open to the community and not all graduates from the program are necessarily hired; they have to go through our hiring process and pass all stages. Recently, however, we had a teacher from Australia who was already an ESL teacher when she applied and we actually hired her under a special two-year contract for foreigners. But this is a very bureaucratic process in Brazil and we only managed to obtain this special work permit because her boyfriend was a lawyer and helped out. We also had another very qualified applicant from England, but she ended up not going through the whole hiring process because she didn’t have many available hours to teach. At our institution, we require that our teachers have at least a 20-hour workload per week, so as to guarantee that teaching is really their profession, not just something they’re doing as a hobby or a temporary gig while they don’t get a “better” job. Though we don’t think that native speakers are necessarily better than non-native speakers as teachers, of course we would like to have more native speakers on our staff, but academically qualified ones, people who chose TEFL as their career. For one thing, the presence of native English speakers forces us to speak English more frequently in the teachers’ room, for example, helping us keep up with the language. They also help us enrich our cultural knowledge and enhance our awareness of intercultural issues. In addition, though students don’t seem to find it essential, they do tend to appreciate having classes with native speakers of the language they are learning, at least from time to time. However, the salaries in Brazil are lower than those in the U.S. in all areas, and teaching is not an exception, so it’s hard to attract this sort of applicant. Besides the lower salary which makes it difficult to attract professionally trained NES, there’s the hiring restriction I mentioned above. Some ELT Institutes, especially smaller ones, don’t necessarily abide by labor laws and hire these teachers informally. We don’t do that. We go by the book. c. According to BridgeTEFLJobs.com, in Brazil, the largest country in South America, the need for native-speaking English teachers is booming. Do you agree with the statement? Please explain. Dr. Villas Boas: There’s definitely a shortage of English teachers in Brazil, so I think the need for highly proficient and academically qualified teachers of English is booming, which includes native speakers but doesn’t exclude non-native ones. d. What advice would you give to NES whose profession is not teaching, but who are considering teaching English in Brazil? Dr. Villas Boas: I suggest they enroll in a TESOL Certificate program to become professionals in the field. Teaching is not just a job. We have the power to change people’s lives and we have to use it responsibly. To do so, we have to know what we’re doing. Knowledge of Linguistics, Second Language Acquisition, Educational Psychology and ELT methodology are essential, as well as knowledge about educational technology nowadays. Ana Wu: When discussing the status of NNEST in Intensive English Programs, researchers have pointed out that administrators generally prefer hiring NES to NNEST because they perceive that students do not want NNEST as their teachers (cited in Mahboob, 2004). 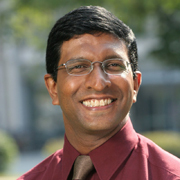 Mahboob states that administrators’ perceptions have not been systematically studied, and that there are only a few studies of students’ perceptions (page 122). Based on your experience as coordinator and in-house surveys, could you share some of the students comments (positive or negative) or expectations regarding having NNEST and NEST teachers. Also, how did those comments affect the instructors’ training and your role as administrator? Dr. Villas Boas: I’ve noticed that this is a big issue in other countries, but I don’t feel it’s a big issue here in Brazil. To tell you the truth, I don’t think I’ve ever come across students who didn’t enroll in our institute or who cancelled their registration because the teachers were not native. This doesn’t seem to be a big issue here. Today, with multimedia resources at our disposal, including podcasts and Youtube, we can provide authentic input to students all the time and work with it in a pedagogically sound way. What’s the use of a native speaker who provides this input naturally but doesn’t know anything about ELT pedagogy? I have noticed, though, that students who hire private teachers seem to prefer native ones. Maybe it is a big issue in countries where English is the native language, especially in Intensive English Programs with international students, rather than immigrants, because these students might have chosen to spend time abroad to have a more naturalistic experience with the language, and when they come across a non-native teacher, they might be frustrated. They shouldn’t be, though, if this teacher is proficient in the language and a qualified professional. Besides, they will naturally have the chance to interact with other native speakers. It doesn’t necessarily have to be their ESL teacher! When I got my Master’s in the U.S., two of my most favorite professors were foreigners. I confess I was surprised at myself at first, for I had looked forward to the opportunity to perfect my English, but then I came to appreciate the varieties of Englishes not only from some of my professors, but also from many of my NNES colleagues who came from different parts of the world. I guess I “perfected” my English in a different way, becoming more aware of the fact that English has truly become a global language. Ana Wu: Your institute organizes a two-and-a-half-day annual TEFL seminar, with international guests, open to the EFL community in the country. Could you tell us what other professional development opportunities are given to your instructors, novice and seniors? Do you offer different coaching or mentoring to NNES or NES? Dr. Villas Boas: We provide a series of professional development opportunities. We have our Teacher Development Course, open not only to our teachers but prospective teachers or teachers from the community. We also offer, though a grant from the State Department, a one-year, 120-hour Public School Teacher Development Program aimed at advancing competence in English and also knowledge of EFL Methodology. We’ve been holding this program since 2002. Besides our yearly TEFL Seminar, we also have in-service workshops and pedagogical meetings every semester. In addition, we encourage teachers to participate and present in local, national and international conferences. This year, our school sent fifteen teachers and staff members to attend the TESOL annual convention in Boston, ten of which gave presentations. Five of our staff members presented in a conference in Argentina, back in February. We’ve just had our National Braz-TESOL Conference in São Paulo and thirteen teachers and management staff presented in it as well. In these three cases, the presenters received travel grants from the Casa Thomas Jefferson. We feel that when teachers choose a topic, research it, experiment in class and then put together a talk or workshop, they learn immensely and can share this knowledge with others. It also increases their self-worth. I’m truly proud of our staff! Once or twice a year we also receive ELT specialists from the State Department, who give talks or workshops to a selected group of teachers, according to their field of expertise. These specialists are selected by the Regional English Language Office in Brazil and sent to different parts of the country to give workshops. We also encourage our faculty staff to attend one-day events featuring renowned authors organized by publishers. In addition, we conduct a yearly Teacher Evaluation, and one of the standards in the evaluation is Investment in Academic Development. It is one of the most valued items in the evaluation system, and teachers’ participation in all the aforementioned programs and opportunities is considered. For novice teachers at the institution, we provide a pre-service program offering the basic knowledge they need to start teaching in our institution. Then they are coached by a group of three highly experienced professionals, who observe their classes, give feedback, provide academic and emotional support – everything a new teacher in an institution needs in order to adapt and feel comfortable. Then, teachers are observed at least twice a semester, by way of a formative process that includes a pre-observation meeting, the observation itself, a post-observation meeting, and the completion of an observation report. In sum, there’s always room for improvement, and I believe we nurture lifelong learning in our institution. Ana Wu: Thank you very much for this informative interview! Dr. Villas Boas: It’s my pleasure and honor to be able to share my experience with colleagues from around the world! Mahboob, A. (2004). Native or nonnative: What do students enrolled in an Intensive English program think? In L. Kamhi-Stein (Ed. ), Learning and teaching from experience (pp. 121-149). Ann Arbor. MI: University of Michigan Press. This entry was posted in Uncategorized and tagged leadership, multilingual, professional development, training on September 1, 2010 by AWu. Ana Wu: Would you tell us your background and why you decided to become an educator? Dr. Curtis: Originally, I was scheduled to become a medical doctor, not an English teacher! This was partly because my parents – who left Guyana and went to England in the 1950s as part of what I call “the colonially choreographed migration”, when the Great British Empire was moving its subjects around as needed – had the typical aspirations of so many new immigrants at that time (and possibly today as well). They wanted their children to “do well”, which meant obtaining high-income jobs and occupying prestigious positions in society. My dad worked in a chemical plant and my mum in the local hospital, so adding all those factors together, myself, my brother and my sister were all funneled towards the Sciences. But we all left the Sciences eventually. Needless to say, my parents, who had dreams of being able one day to say “my son the doctor” were understandably very upset when I gave up a generous medical scholarship to become – of all things – a teacher?! One reason I left the Sciences was a growing suspicion of the “objectivity” of the Western Scientific Method, and one of the reasons I went into Education was because teaching and learning are not objective and not scientific, whatever some proponents of the scientific approach to language teaching-learning may still claim. But because of my traditional scientific upbringing, I did initially think that teaching and learning were primarily head-level, cognitive, intellectual events. After some time, I realized that teaching and learning – especially language teaching and learning – are, for me at least, primarily heart-level, affective, emotional events. As for language teaching rather than science teaching, which would’ve been more in-line with my background and educational upbringing, one of my professors pointed out that my assignments and papers were becoming more and more focused on the language of science rather than the methods. This came about because I noticed that there appeared to be an interesting and important analogy between a patient and a doctor communicating, and a native speaker of a target language and a non-native speaker communicating. I know that probably sounds odd to many ears, but I believe that a situation in which a patient is trying to understand what is happening to them and what the doctor is saying has many similarities to a communicative event between a native and a non-native speaker, especially if the doctor is using a lot of technical language, not understood by the patient, though they are both using “the same language”. So, although it certainly was not a typical career path – entering the field of TESOL via Medicine – it made sense to me, if not to many others, including my family and friends at the time. Ana Wu: You were a TESOL Leadership Mentoring Program Award recipient. How important was this recognition? How did it help you in your career? Dr. Curtis: I think I was one of the first TESOL Leadership Mentoring Program Award recipients, and it had an extremely important influence on my career in TESOL. In fact, looking back, I would say I did not really realize how important it was at the time, and only later fully realized the great difference that receiving that award made. I must, though, confess that I failed the first time. My initial application to the LMP program, put forward in 1998, was turned down, and I remember being very disappointed. But I was extremely fortunate to have Kathleen Bailey, a TESOL Past President, as the person supporting my application. So, much as I wanted to just forget about the LMP award after being rejected, Kathi would not let me give up, and insisted that I apply again the following year. So, that was one of the first of a great many life-changing lessons I have learned from her over the ten years since 1999 when I received the LMP award. If it had not been for Kathi and for the LMP award, I might have left the TESOL, Inc. not because of my disappointment at being unsuccessful my first time around , but more because, having been born and raised in England, the IATEFL association seemed like a more natural or logical choice. But the TESOL LMP award, which I think was started during David Nunan’s term as TESOL President, helped me stop and think about my role in TESOL – the field and the association. Kathi, David and I went on to write a book on professional development together, called Pursuing Professional Development: The self as source (Heinle, 2001) and to collaborate on many projects over the years. I am extremely grateful to both of them for their encouragement and support over the years, and I appreciate this opportunity, in this interview, to share with your readers just how grateful I am to both of them, as well as to other TESOL Past Presidents from that time, including MaryAnn Christison and Denise Murray, who have recently co-edited a book titled Leadership in Language Education (Routledge, 2009) to which I contributed a chapter on Leading from the Periphery. This idea, of leading from the edge, has become an important part of my work in the area of leadership and management in language education, which I now realize started with the LMP award. Ana Wu: In the beginning of your career, you taught academic writing in Hong Kong. In your book Colour, Race and English Language Teaching: Shades of Meaning (2006), you describe the expectations and attitude of some of your students on the first day of class. a. How did those incidents affect you in lesson planning? b. What advice would you give new teachers who may be in the same situation as you were, not conforming to the native speaker image in language and appearance? Dr. Curtis: There was not really a one-to-one correlation between the incidents I describe in my Dark Matter chapter in Colour, Race and English Language Teaching: Shades of Meaning (Lawrence Erlbaum, 2006) which I co-edited with Mary Romney, and my lesson planning. But the experience of some students being so surprised to find that their English teacher was not a white, male Englishman certainly did have an impact on me, as it helped me realize the power of the images that still exist in some countries about what it means to be an English teacher. Although we have come a long way since the incidents I describe in Hong Kong more than a decade ago, we still have some way to go in this area to fully move past what I call the Aryan Super Race Model of ELT. The Aryan Super Race Model of ELT is a fairly controversial term, and as such it has gotten me into trouble on more than one occasion. But one of the reasons I left Medicine and became an language teacher and learner was because of my awareness of the power of words, and a phrase like The Aryan Super Race Model of ELT certainly does get people’s attention and provokes thought and discussion of questions such as: Why is it that in some places still all you need to be an English teacher is to be tall, blonde-haired and blue-eyed and you’re in? And how much longer will we need to wait before the Native Speaker Myth finally dies its long-overdue and inevitable death? So, over the years, I have learned to make use of my experiences of not being what people expect, to help them challenge the stereotypes, distorted images and colorful expectation they have of who is a Native Speaker of English and who should be a Teacher of English. One of the ways I have been doing this is to deliberately use material in my language teaching that highlight the fact that the majority of users of English in the world today are not native speakers of the language, and the fact that the majority of teachers of English today are not native speakers of the language either. So, native speakers of English are, by definition, a minority, making the linguistic norms for English, then, logically, non-native. It is difficult to give to new teachers who may be in the same situation as I was, not conforming to the native speaker image in language and appearance, without lapsing into clichés. But I do strongly encourage teachers in that situation not to fall into the trap of trying to be someone else to meet the expectations of others. If you are not a native speaker of English and you are not white-skinned, blonde-haired and blue-eyed, there is no need to apologize for not being those things! We are not the ones who need to change in those situations – it is the expectations of the others that need to change. Ana Wu: Besides being the director of the Language Teaching Unit (ELTU) at the Chinese University of Hong Kong, a consultant working with Prof. Kathleen Bailey, and a workshop facilitator, you have written books and served on many committees. In your career, is there any unfulfilled dream? How do you balance your career with family? Dr. Curtis: I recently asked some local colleagues in Hong Kong if there is a Cantonese expression for “work-life balance”. Not surprisingly, we found there is no such phrase, because here Work Is Life, so the notion of balance makes no sense! Consequently, one of my difficulties with balancing career and family is the nature of work in Hong Kong – but it’s not fair to blame it all on Hong Kong. As one of my friends here pointed out sometime ago “It’s not Hong Kong, Andy. It’s you!” Like most people I know who have achieved some degree of professional success over time, including the TESOL Past Presidents I thanked above, professional success can sometimes come at the price of success in our personal lives, if we always prioritize our work-life over all the other aspects of our life. So, I am now trying to learn how to be better at balancing work life and real life, the professional and the personal, which really means working less and living more. Spending a little less time at the computer, working on texts, and a little more time talking with family and friends. It’s been noted by many others that nobody on their death-bed says: “If only I’d spent more time in the office”. But many people do say the opposite, “If only I’d spent more time with family and friends”. This brings me to the other part of your question about whether or not there are any unfulfilled dreams in my career. The short answer is that I have, at this point, barely scratched the surface of what I had hoped to achieve in my career! In terms of quantity, I recently saw my one hundredth publication come out, a chapter in another book on leadership in our field (edited by Neil Anderson, Mary Lou McCloskey, also TESOL Past Presidents, and Christine Coombe and Lauren Stephenson) published last year (2008) by Michigan University Press. Although 100 hundred of anything is a fairly arbitrary number, it represented a milestone for me. But it also made me stop and think about quantity versus quality and the impact of the work that we do. Most of us became educators because wanted to have a positive impact on the world, to help make things better, in the case of language teachers, by enabling better communication between people from different places, using different languages and drawing on different cultures. But I believe that my most important work may still be ahead of me, as there is still so much that I would like to do as a language educator, to help make a real difference in what appears to be an increasingly fractured and divided world. I’ve been told that I’m over-optimistic to the point of romantic naïveté, but I still believe that language teachers do more to improve the quantity and quality of communication globally than so-called world leaders or multinational corporations. Ana Wu: You have worked with thousands of language teaching professionals in dozens of countries and territories, and given hundreds of presentations worldwide. Would you share some of your most vivid experiences, positive or negative? As a Brazilian I needed to ask this question: What was your impression of Brazil and the TESOL professionals? Dr. Curtis: My most recent experience was presenting in Penang, Malaysia at the local TESOL PELLTA affiliate conference, and it was a very positive experience of coming full circle (if you’ll forgive the cliché!) in the sense that the conference was attended by fewer than 200 participants and presenters, but representing nearly 20 countries, which is the kind of relatively small conference that I used to attend when I first became active as a presenter. But with the big annual TESOL Association Convention in the US, attended by thousands and thousands of people, and some of the big conferences here in this part of the world, such as Cambodia TESOL, which now attracts around a 1,000 people each year, it’s hard to find conferences of a couple of hundred. So in Penang, I was reminded of how much I enjoy that, and how much easier it is to get to know the participants and presenters with these relatively small numbers. I should also add that the reputation for Malaysian hospitality and great food were both absolutely true in my experience of being there, so I was grateful to the TESOL Executive Committee for asking me to go to the conference, to represent the TESOL Association. But many of my most positive experiences as a presenter have been in South and Central America. Maybe it’s because my parents come from that part of the world, so I have some special affection for the languages, cultures and peoples in that part of the world. Plus, because of my skin (color), I am usually mistaken for a local person at some point during my time in Brazil, Peru, Mexico, etc. And interestingly, if I am not all dressed up as a conference presenter or participant, and if I am mistaken for a local person, the assumption is usually that I am a local worker, probably working outdoors, on the land and in the fields, because in most of those countries – and in my experience, in most countries of the world – the darker the skin, the poorer the person, as dark skin is associated with physical work outdoors, laboring under the sun, whereas fair skin is often associated with more professional work indoors, in offices, etc. But I am always happy to be taken for a local, as I believe that that is an important part of experiencing another language and culture. And as for your question about my impressions of Brazil and the TESOL professionals there, I am going to risk upsetting some people in some other countries and say that Brazil is one of my favourite countries of all that I’ve spent time in! I have not been there recently, as it takes up to 40 hours to get there from here in Hong Kong, but I have many very fond memories of working with enthusiastic, energetic and interactive TESOL professionals at different Brazil TESOL conventions and others conferences there. So, I hope to be heading back that way again this year, if possible! This entry was posted in Uncategorized and tagged color, discrimination, leadership, linguistic competence, multilingual, professional development, race, second language, stereotypes on June 1, 2009 by AWu. Ana Wu: Would you tell us your linguistic and professional background, and why you decided to become an educator? 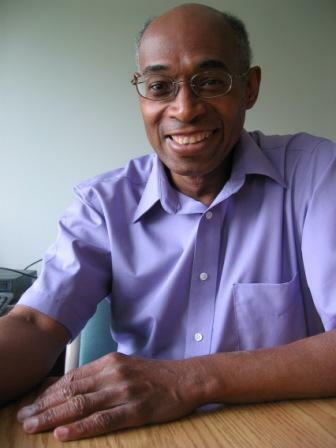 Dr. Stephan: Since my linguistic background and professional career is inextricably linked with Suriname, my native country, and the name “Suriname” isn’t likely to ring a bell with many people, allow me to provide some basic facts about the country. Suriname is located on the northeast coast of South America; it borders the Atlantic Ocean in the north, Brazil in the south, French Guyana in the east, and Guyana in the west. It was colonized in 1650 by the English who, in 1667, handed it over to the Dutch; it remained Dutch territory until it gained independence in 1975. The population is made up of Amerindians, the nation’s indigenous people, and descendants of Dutch colonists, African slaves, Indian, Indonesian, Chinese indentured laborers, and Lebanese immigrants. As of 2007, Suriname has a population of about 493,000. In all, 18 different languages are spoken, the most prominent of which are Dutch and Sranan. The former is the country’s official language, while the latter, an English-based Creole, is the nation’s lingua franca. Like many other countries, Suriname has a centralized education system which currently breaks down into elementary school (six years), middle school (four years), and high school (three years). Growing up in the 1960s, I primarily spoke Dutch at home, but with my friends in the neighborhood and on the school playground I spoke both Dutch and Sranan (for much of the last century, Sranan was considered the language of the lower class and parents of every social class, including those who would be considered poor and uneducated, would discourage their children from speaking it at home). In addition, like all Surinamese kids in those days, I had informal exposure to English, thanks to radio and television. Virtually all the songs on the radio were—and still are—in English, and when television arrived in Suriname in the mid 60s, the vast majority of the programs that aired originated from the US. And since there was no dubbing and there were no subtitles, I had direct exposure to the English language. Formal exposure to English came when I started middle school at age 12 (in Suriname, English has been a component of the middle school curriculum for over a century; over the years, various elementary schools took it upon themselves to offer it to their students and currently efforts are underway to make it a fixed component of the elementary school curriculum). Since Suriname did not—and does not—have a program for training interpreters, I consulted the Department of Student Affairs (DSA) of the Ministry of Education. I learned that the only way of achieving my goal was to first enroll in a general teacher training program and then specialize in Spanish, an endeavor that would take six years. That is precisely what I did . . . only to learn at the end of those six years that I had been misinformed by the DSA official. By then I was 22, and family circumstances dictated that I enter the work force and so I started teaching. Additionally, due to changes in the educational policies of Suriname, one of which was that Spanish no longer was a required course at middle and high school, I had switched allegiance from Spanish to English. So, in essence, I became an English teacher by mere circumstance rather than by my own volition or some higher calling. Ana Wu: I read with great interest your article “Musings of a Black ESL Instructor” (2006) because it offers a new dimension to the definition of the TESOL professional. In the first paragraph (p.107), you wrote that in your homecountry, Suriname, a racially diverse society, the concept of racial profiling is totally alien. If you were arrested by a police officer of a different race and claim that you were the victim of a racial profiling, people would not believe in you. You also wrote that while teaching EFL in Suriname, you had no reason to believe that your students were racially biased against you (p.114), that they would not question your teaching abilities based on your racial background. It was only after teaching ESL and receiving unsatisfactory performance evaluation from your students who were primary from Asian origins that you started perceiving an association between your racial and professional identity. What advice would you give to ESL professionals who grew up in a society like yours and now want to teach ESL in an English-spoken country where they are identified as a person “of color”? Dr. Stephan: Let me preface my response by pointing out that Suriname is not devoid of ethnic strife. Currently, the Hindustanis and the Creoles, i.e., those whose ancestors came from India and Africa respectively, make up the two largest ethnic groups in the country. There has been ethnic tension between them groups for decades, as in the immediate run-up to Suriname’s independence. While both Creoles and Hindustanis left the country for the Netherlands, fearing the country’s economic collapse upon independence, Hindustanis had an additional reason for leaving: the fear of being ruled over by Creoles. Fortunately, over the years, politicians of all ethnicities have largely refrained from playing up ethnic tension, and as a result, Suriname has never seen a major ethnic upheaval. Let me now address the question. I don’t know if it is possible to prepare individuals who, like me, come from a society where race and ethnicity go largely unnoticed in daily life. No matter how much you read or hear about the experiences of others on this matter, you are unlikely to grasp the full extent of it until you actually live it. It’s maybe comparable to the rollercoaster experience: I myself have never been on one—and don’t plan to do so any time soon since just seeing the speed with which the cars and the people in it come down makes my stomach turn. So it’s hard for me to understand the exhilaration and excitement of those brave souls. I do have one piece of advice for ESL instructors who find themselves in a situation in which they believe their capabilities are being questioned because of the color of your skin: avoid paranoia and do not look for an enemy behind every bush and tree! Rather, consider every situation and every individual involved in it on their merits. I always try to find a reasonable explanation for what happened, starting with questioning my own behavior. What did I say or do—or didn’t say or do—to elicit that particular reaction from the person? Did the person perhaps misunderstand my well-meaning intentions? Did the person have a bad day and was it my misfortune to become his or her scapegoat? It is, of course, also possible that a person’s dislike for another has nothing whatsoever to do with the other’s skin color; we all know at least one person we don’t like simply because our personalities clash. It’s important to consider all these possibilities and more before thinking the worst about the other human being. Ana Wu: What do you think of the term “TESOL professional of color”? How would you name a TESOL professional of color who is also a non-native speaker? Dr. Stephan: I appreciate the fact that the term “TESOL professional of color” makes some people uneasy or offends them; the reason is that it seemingly injects the issue of race in our profession, pitting, in essence, White ESL instructors against their non-White counterpart. We want to believe that ours is a colorblind profession, devoid of politics in the same way that we believe that, say, the teaching of math or physical education is. However, if scholars such as Pennycook, Phillipson, and Tollefson have taught us anything, it is that politics is engrained in the history of the English language and that of English language teaching (ELT). Moreover, TESOL, presumably the largest organization of ESL professionals in the world, is not only based in the United States but also has a largely US-based membership. The United States has a long history of uneasy race relations that stretches back as far as the arrival of the Pilgrims in 1620; it is, therefore, inevitable that issues of race will permeate the nation’s sub communities. Thus, with regard to the “racialization of ELT” the professional ESL community cannot afford to adopt an “ignore-it-and-it-will-go-away” attitude; rather, it ought to confront the matter head-on. Perceptions of and ideas about race are deeply embedded in English language teaching. Traditionally, Great Britain, the United States, Canada, Australia, and New Zealand are considered “the core English-speaking countries,” a term coined by Phillipson in his famous—some would say, infamous—work, Linguistic Imperialism. Demographically, the dominant group in these nations have been White people; and because these nations are often perceived as exclusively English-speaking, the English language has historically been perceived as the “property” of the White natives; put differently, Whites have been granted “ownership” of the language. Consequently, it is not surprising that when the average ESL student envisages a typical ESL instructor, the image that is conjured up is that of a blond, blue-eyed, female (female, because education the world over, particularly at primary and secondary level, is a female-dominated field). This perception has implications for ESL instructors who are not White: some students and employers perceive ESL instructors who happen to be of color as less “authentic” in comparison to their White counterparts; that is, the former are considered less reliable and trustworthy in meeting the linguistic needs of students than the latter. Therefore, when an ESL instructor of color enters the classroom on the very first day of the semester, she or he is already at a disadvantage before having uttered a single word. To earn the respect, trust, and recognition of their students—and in some cases even that of their White colleagues—, they need to demonstrate that they fully master all aspects of the language, often much more so than White ESL instructors (this claim has been documented by ESL professionals of color like Nazut Amin, Angel Lin, and Anam Govhardan). Thus, given these circumstances, there is a need among ESL practitioners who do not conform to the stereotypical image of the ESL instructor to create an identity for themselves and to share their experiences with their professional community. The label “TESOL professional of color” calls attention to the fact that there is a tension between being a person of color and being an ESL professional. Therefore, I wholeheartedly embrace the label. The second part of the question—what name I would give to a TESOL professional of color who is also a non-native speaker—reflects, I believe, two misconceptions. The first is that the term “TESOL professional of color” only applies to non-White citizens of core English-speaking nations. Presumably, the term is analogous to “people of color,” a label commonly applied in the United States to individuals who do not identify themselves as white or are not identified by members of their society as such. Note that the phrase “people of color” distinguishes people on the basis race, not on linguistic background. Consequently, I’d argue then that the term “TESOL professional of color” applies to(a) non-White ESL instructors who were born, raised, and educated in countries where English is spoken as a first or second language and (b) non-White English language teachers who were born, raised, and educated in nations where English is by and large acquired in an academic setting. The second misconception is that the White/non-White dichotomy and the native/non-native speaker dichotomy are two independent entities. However, as I have pointed out in my discussion about “ownership” of the English language and its implication for TESOL professionals of color, these two dichotomies are clearly intertwined in the same way that, for instance, race and gender are in many societies, including the United States. Perhaps no other linguistic feature is more salient in marking the distinction between native and nonnative speakers than accent. More often than not, a person’s accent becomes the means by which his or her interlocutors create a social picture of the speaker: the person’s nationality, native language, social class, educational attainment, and type of job. In addition, if the speaker is heard rather than seen, attempts are often made to determine the speaker’s race or ethnicity. In her work English with an Accent, Rosina Lippi-Green provides an in-depth analysis of the inextricable relationship between an individual’s accent and the racial attitudes towards him or her. Of interest is also the study conducted by Yuko Goto Butler, who examined the attitudes of sixth-grade students toward teachers with American-accented English and Korean-accented English (in actuality, both accents were produced by a Korean American). Her study revealed, among other things, that the students believed that the “American” individual had a better pronunciation and displayed a greater degree of confidence than the “Korean” individual; the students also preferred the former to the latter as their English teacher. The studies by Lippi-Green and Butler do more than highlight the accent-race connection; they also shed a distinctive light on the native/nonnative speaker debate. For if we accept the position that (a) accent is the most salient marker distinguishing a native from a nonnative speaker, and (b) having a nonnative accent has social implications, then it is apparent that the native/nonnative speaker debate is a social rather than a linguistic issue. In fact, I would go so far as to say that the issue of native versus nonnative speaker of English is, in essence, not rooted in linguistics but rather in sociopolitics. This assertion is not new; in his book The Native Speaker is Dead!, Thomas Paikeday cites David Guralnik, an American lexicographer, who claimed that the question of the native speaker had more sociopolitical than linguistic overtones. He went on to say, according to Paikeday, that those who adhered to the idea of native speaker intuition are motivated by elitist or perhaps even racist notions. Consequently, to frame the native/nonnative speaker debate largely or exclusively in terms of linguistics is, in my opinion, wholly unproductive. A proper understanding of the issue demands that careful consideration is given to the extent to which race, and perhaps even gender and class, inform the debate. Ana Wu: You also conducted a research (Stephan, 2001) in which students had to order rank ESL teachers based on geographic origin and linguistic background. You explained that all the instructors had equal teaching experience, abilities, and qualifications. You found out that 74% of the participants preferred native English speaking professionals from Europe and 45% rated non-native English speaking professionals from Africa as “the last resort” (In this study, you had 138 Asians, 14 Europeans, 9 Africans, 8 Middle Easterners, and 5 South Americans. It was also assumed that students associated the terms African, Asian and European to Black, Mongoloid and White). How did this experience affect – pedagogically and emotionally – how you teach? Did you start discussing social issues in your class?Did you share your experience as a visible minority in the ESL teaching community? Dr. Stephan: To some extent, my experiences have shaped my professional personality. On a personal level, there was a time when, in introducing myself, I would tell the students where I come from and what my linguistic background is. After two rather painful incidents in the late 1990s, I decided to create a “Don’t ask, don’t tell” policy of my own: if the students do not ask me about my background, I do not tell them about it. And even if they do, I generally do not tell them the whole truth. While it pains me to betray my own identity, I have learned that, in this respect, being less than forthcoming benefits the interaction between the students and me. On a professional level, because of my experiences, I am more inclined to address social issues in the ESL classroom but I let the circumstances dictate the extent to which I do, if at all. For instance, in 1999, I was teaching two different groups of students at two different schools. At one school, the students who enrolled in the ESL program were primarily “international students,” i.e., students who upon graduation were likely to return to their home country. For many of them, the goal of enrolling in the ESL program was to develop and improve their English language skills so that they could write a decent paper in their field of study. I often had the sense that their attitude towards the ESL class was, “Well, if this is what it takes to get my degree, fine, but don’t expect me to like it.” I just did not think that these students would be open to discussing social issues; all they were interested in were issues of grammar and style, so the content of the course was largely if not strictly pedagogical. At the other school, the vast majority of students who enrolled in the ESL program were immigrant students. Obviously, they had a vital stake in studying English: for them, developing and improving their English language skills was of major importance in earning a decent living. At the same time, I believed that mastery of the English language alone was insufficient to enable them to successfully integrate and function in American society. They also needed insight in what makes the United States the country it is; and since I am an immigrant to the United States myself, I saw it as my duty to assist them in navigating the sometimes troubled waters of American culture. Therefore, we frequently discussed matters that tend to baffle newcomers to the country, ranging from the more mondane issues such as dating to more complexing and controversial issues such abortion and racism. Ana Wu: In Ahmar Mahboob’s article, “Confessions of an Enraced TESOL professional,” (2006), he says that one of the presenters at 2005 TESOL convention confined that she felt she didn’t belong in the NNEST community. She was the only Black professional and felt left out. As the former chair of the International Black Professionals and Friends in TESOL (IBPFT) Caucus, how do you think both communities, NNEST and IBPFT, can work together to create an environment in which members gain equal status and are recognized for their professional qualities, instead of race or nativeness? Which topics for research can we work collaboratively? Dr. Stephan: To begin with, “status” is often not something individuals bestow on themselves; rather, it is something that society or segments thereof bestow upon them. To illustrate, as recently as five years ago, whenever the then state senator Obama walked into a room full of strangers, undoubtedly everyone in the room would have thought, “That is a Black man.” We now know differently: Mr. Obama is, in fact, biracial. Yet, the fast majority of people do not refer to him not as the first biracial president of the United States, but as the first black president of the country. That is because society has developed certain beliefs about what a black person is supposed to look like. And so, while I believe that nonnative ESL professionals and ESL professionals of color must work towards greater recognition, that recognition will only come when all involved in the education process— employers, students, parents, and colleagues—perceive of them as authentic. My response to the earlier question makes readily apparent that, from a professional perspective, I do not see a clear distinction between nonnative ESL professionals and ESL professionals of color. As I have claimed, issues of race and (non) native speakerness are not two separate, competing forces but rather intertwined axes rooted in the same phenomenon: social inequality. Therefore, in a perfect world, it probably would be best if both the NNEST and the IBPFT were to be disbanded and TESOL professionals of all stripes were to band together to question how race, native speakerness, and other social forces shape and impact English language teaching and learning. I believe that that would be the most effective way of achieving synergy, that is, producing a result that no group of ESL professionals, working as an independent entity, is likely to achieve. Alas, there is no such thing as a perfect world! So what is next? First, the NNEST and IBPTF chairs ought to put their heads together and develop strategies aimed at constructive cooperation. During my tenure as Chair of the IBPFT, I attempted to reach out to the NNEST Caucus through the then Chair Lucie Moussu. I suggested that the two caucuses present a joint colloquium; Lucie did put out the request but, unfortunately, no one within the NNEST responded. One reason beyond sheer anxiety of giving a presentation might have been the assumption on the part of NNEST caucus members that they have little or nothing in common with members of the IBPFT. I think leaders of both caucuses should do more to raise awareness among their members that the concerns of the NNEST are not vastly different from those of the IBPFT and vice versa, and that the two groups have more in common than may be apparent at face value. It is a well-known fact that there a far more countries where English is spoken as a foreign language than as a first language, which means that most speakers of English are nonnatives; among them, there are many are people of color. Consequently, like no other TESOL caucus, the NNEST and the IBPFT are uniquely positioned to raise awareness among employers, students, and parents about the value of NNEST and ESL professionals of color. I readily admit that at the time of this writing I have no clue how exactly one would go about in doing that; this is another reason why the leaders of the two caucuses should consult one another. One way, however, might be for the two caucuses, possibly in cooperation with the other caucuses, to petition the TESOL organization to have its annual convention held outside the United States, maybe every other year or so. It strikes me as odd that an organization that has the globe as its logo has never held its convention, arguably the largest of its kind, outside of the Americas (and I’m using the phrase “the Americas” broadly here since of the 43 conventions—this year’s included—two were held in Canada (1983 and 1992) while Mexico hosted the 1978 convention). Compare this, for instance, to FIFA, the world soccer federation, which every four years organizes what undoubtedly is the major sports event in the world, the World Cup. While this body has its headquarters in Zürich, Switzerland, the World Cup was only once held in that country . . . in 1954! If FIFA held every single World Cup competition in Switzerland, it would be safe to assume that not many non-Europeans would be able to attend one or more games. The year 2009, marked by economic turmoil of immense proportions, is probably not the best time to call for TESOL to spread its wings and fly. I ackowledge, furthermore, that TESOL regularly organizes regional conferences, but those may not necessarily contribute to breaking down the barriers nonnative ESL professionals and ESL professionals of color face, precisely because they are regional. Therefore, for TESOL to assist these and other groups of ESL professionals in breaking down barriers, it is important that it looks for ways of taming its convention on the road, so to speak. As for a research agenda, we need more insight into how social forces in general—nativeness, race, gender, class, sexual orientation, and the like—impact the teaching and learning of English. Ana Wu: In the field of race, color, nativeness, and ESL/EFL teaching, what seminal papers inspired you? Which ones do you recommend graduate students in applied linguistic or TESOL programs read? Dr. Stephan: In some of my answers to previous questions, I mentioned some of the works that sparked my interest in the relationship between ELT and politics in general and issues of race in particular. I can’t say that they influenced my day-to-day teaching, but they certainly hightened my consciousness regarding the role ESL professionals, myself included, play in bringing the English language to the masses. Much criticism that has been leveled at Phillipson’s Linguistic Imperialism since its publication in 1992; for me, however, it will forever be one of the best works I have read on the politics ofELT. Other works that I thoroughly enjoyed reading were James Tollefson’s “Planning Language, Planning inequality” and Alistair Pennycook’s The Cultural Politics of English as an International Language. When I started my dissertation research in 1997, it gradually dawned on me that published articles on the ELT – race connection were virtually nonexistent. In fact, the only article I managed to find after weeks of perusing a wide variety of journals was Race and the Identity of the Nonnative ESL Teacher by Nazut Amin, published in 1997 in the TESOL Quarterly. So in order to be able to place race in the context of ESL teaching, I studied, among other things, the perceptions of race and racial identity in the countries where the fast majority of ESL students I was teaching at the time came from, i.e., China, Japan, and Korea. Two works I found very informative were The Discourse of Race in Modern China and The Construction of Racial Identities in China and Japan, both written by Frank Dikötter. These works provided me with a general idea of perceptions of race and racial identity in Chinese and Japanese society at large. Rosina Lippi-Green’s English with an Accent and Cornel West’s Race Matters also make for fascinating reading. For students in ESL programs who are interested in investigating how social issues such as race impact English language teaching and learning, I would suggest that they enroll in courses that provide them with some of theissue themselves before they start their investigation into how it may affect ELT. To illustrate, when I initially conceived of my dissertation research, my goal was to investigate why few Black Americans seem interested in career in ESL. I based my belief on the fact that during my MA and PhD studies there had been only one African American in my classes. Since I am not an African American, I felt I needed to develop an understanding of African American history. To that end, I took a number of courses in the Department of African American and African Studies at The Ohio State University, where I did my doctoral work; the knowledge gained in those courses served me well during my dissertation research and beyond. Ana Wu: You are currently working at Educational Testing Services. Do you miss teaching ESL? Do you have any plans for going back to being an instructor? Dr. Stephan: As an assessment developer at ETS, my primary duty is creating test items for the reading section of the Test of English as a Foreign Language (TOEFL) and the Test of English for International Communication (TOEIC). To be quite honest, I don’t miss teaching the technical aspects of ESL, i.e., grammar, spelling, reading and writing, and so on. I began my career as an ESL instructor in 1977 and by the time ETS offered me the position in 2002, I’d been in the field for roughly twenty-five years. With the advent of the new millennium in 2000, I was ready for something different. Obviously, I still have a connection with the English language through my work at ETS; in part, of course, it was because of my knowledge of the language that the company recruited me. What I do miss by not being in an academic setting is the opportunity to conduct classroom research. I would love to investigate the race – ELT connection in greater depth but that is not feasible precisely since I am not in a classroom setting. At this point, I see no full-time teaching position in my future; I would welcome the opportunity, though, to teach as an adjunct and hope to land such a position in the near future. Ana Wu: Thank you for such inspiring interview. I hope to have a chance to meet you at the TESOL Annual Convention in Denver! Butler, Y.G. (2007). How are nonnative English speaking teachers perceived by young learners? TESOL Quarterly, 41 (4). Mahboob, A. (2006). Confessions of an Enraced TESOL professional. In Curtis, A. & Romney, M. (Eds. ), Color, Race, and English Teaching Language Teaching. Mahwah, NJ: Lawrence Erlbaum. Stephan, M. H. (2006). Musings of a Black ESL Instructor. In Curtis, A. & Romney, M. (Eds. ), Color, Race, and English Teaching Language Teaching. Mahwah, NJ: Lawrence Erlbaum. Stephan, M.H. (2001). Lifting the veil of silence: An inquiry into race as a feature of the social and pedagogical dimensions of the English as a second language classroom. Unpublished doctoral dissertation, The Ohio State University, Columbus. This entry was posted in Uncategorized and tagged advocacy, assessment, color, communication, discrimination, identity, linguistic competence, professional development, race, training on March 1, 2009 by AWu.